For many people, Labor Day marks the end of summer or the beginning of fall depending on how you look at it. 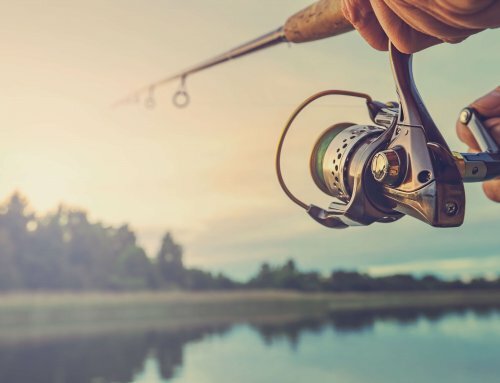 For some anglers, Labor Day marks the end of the fishing season: For other anglers Labor Day is the beginning of the best time of the year to be fishing. I like to fish during all the seasons, but autumn is perhaps my favorite, for several reasons. First Reason fall is perhaps my favorite: It’s just a really nice time to be outside. The scenery with all the colorful trees and such make the fall season special. Fewer people are on the water, so you’re sharing the best spots with fewer anglers. Most Important Reason fall is perhaps my favorite season for fishing: The fish really like to get caught in the fall, and autumn is probably when the odds for catching truly trophy-sized fish are best. Fish instinctively know that now is the time when they need to fatten up for winter, and fish that are fattening up are easier to catch. Following are some quick ideas for fishing success in the autumn. First of all, start the fall season with fresh line, especially if you’ve been using the same line you started the fishing season with. In the course of a fishing season your line gets beat up. It’s the only thing between you and the fish, so put some new stuff on to handle the fish you’ll be dealing with in the fall. If you’re after a truly big fish, you need to be on big fish water. Some bodies of water have a reputation for big fish, others have a reputation for numbers of smaller fish. The deeper, clearer lakes that have oily baitfish will usually produce the biggest fish. 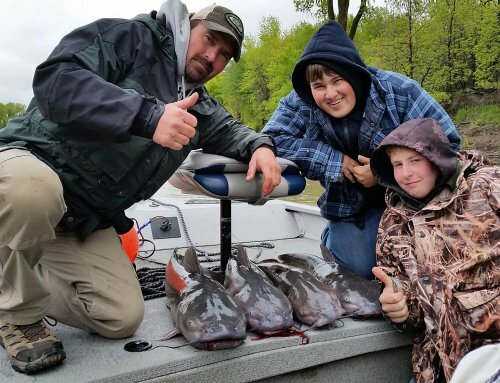 Do some asking around to determine which lakes produce big fish and which lakes produce numbers of fish. 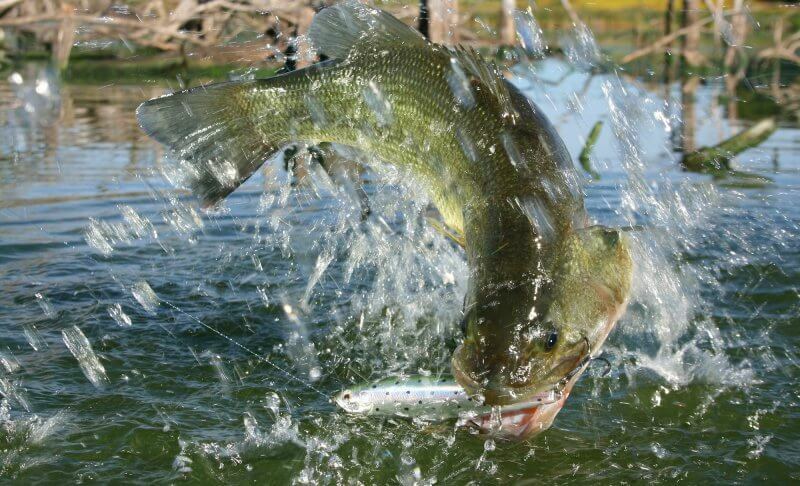 In the fall, big fish like big baits. They do in the summer also, but it’s really noticeable in the autumn. 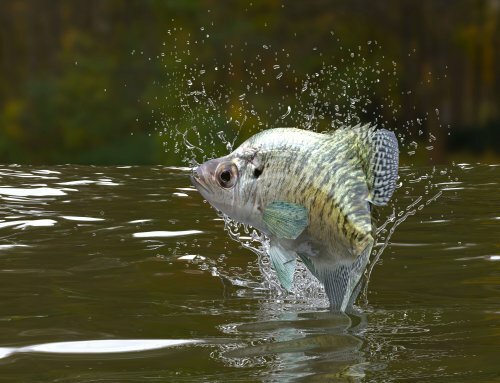 Again, the fish know they need to fatten up for the winter, and they get fatter by eating a couple of big meals than they do expending the energy to chase down several smaller meals. If you’re after walleyes, the larger Salmo Perch or Sting crankbaits are outstanding: They’re also really good for northern pike. If jigging or live-bait rigging is your preference, hook a big red-tail minnow onto your jig or rig. A three or four inch red-tail is good year ‘round, but in the fall, if you can find a six incher, go with that. If you prefer to use plastic on your jig, go with the big, bulky stuff. 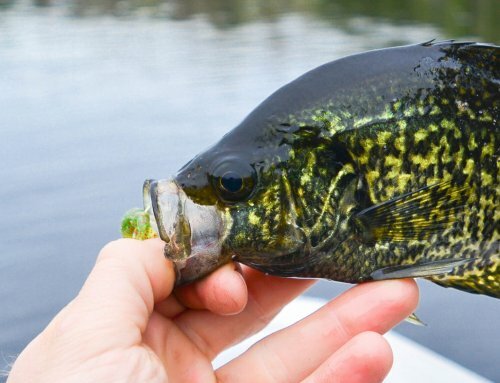 Largemouth bass and walleyes both eagerly gobble plastic. 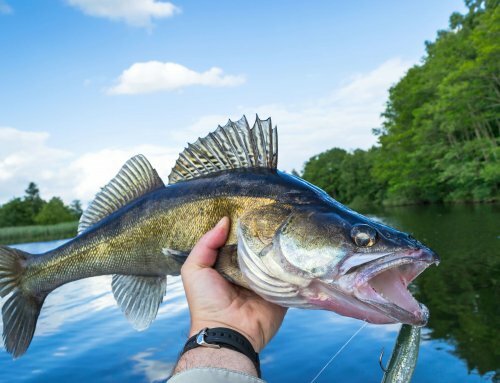 For walleyes, try an Impulse Paddle Minnow or four inch Smelt Minnow on a Slurp! Jig and keep it moving. For largemouth, put an Impulse Brush Beaver on a Jungle Jig and hang on. Plastic is far more productive when it’s fished quickly. You can work live bait slow, but plastic needs to be moved. It was mentioned earlier that fall is perhaps my favorite time of year to go fishing, and the autumn season certainly can be enjoyable. But then I think about fishing on the first warms days of spring and how much fun that can be, and then I remember how consistent summer fishing can be, and I like that also. And ice-fishing on a calm day with friends is one of my favorite pastimes. In reality, I guess my favorite fishing season is whichever one is going on at the time, and the current season is fall. Take advantage of it.